There was an interesting rumor emerged pretty much out of nowhere last week suggesting that Sony was working on a mid-generation PlayStation 4 hardware refresh. That speculation suggested that the Japanese company would introduce a new PlayStation model that will not only come with a small visual upgrade, but will also include additional processing power and a more powerful GPU integration to allow gamers to play games in 4K resolution. On the back of those rumors, we now have confirmation from another source that this new hardware is indeed a reality. According to this new report, PlayStation 4.5, which will be called PlayStation 4K, is not only real, but that Sony has already been through the process of producing working internal prototypes of the console. Prototyping a piece of hardware may not seem like a big deal, but it means that Sony is clearly far along in the research and development process to feel comfortable producing working versions of the hardware to test internally. What’s particularly interesting is the identification that Sony is internally referring to the new hardware as the “PlayStation 4K” when the improved and more powerful GPU that’s said to be powering the system is reportedly “nowhere near enough to provide native 4K gaming at the same quality level as current 1080p titles.” If that is indeed true, you have to wonder what the 4K moniker in the internal name refers to, and whether a future release is a long way off as Sony and its engineers look to solve these rendering issues before going to market with this refresh? It’s also being said that PlayStation 4K will supposedly allow “high-dynamic range and a wider color gamut” in gaming, along with the ability to play “current and next-generation ultra HD media”. It all sounds impressive, but until we see some official specs from Sony, along with some gameplay demos that show the true quality of what consumers will get, we’re going to remain a little cautious about the speculated issues being faced when trying to render quality gameplay and experiences at 4K. As soon as we have more on this, including potential pricing points and release dates, we will of course bring it to you right here. Hopefully they fix the eject bug. 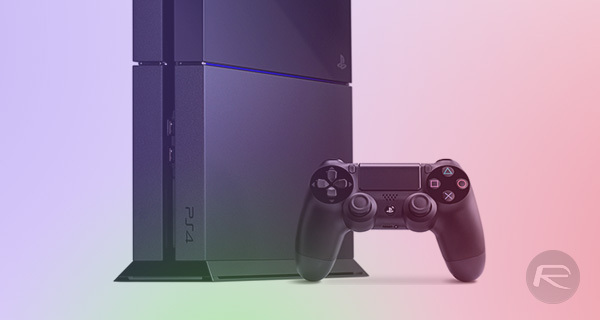 Does that mean they are update the firmware in PS4 or a new console of PS4.5 ? They better not. An update firmware will make a sense unless GPU is need then I hope they offer our PS4 to replace for free. It would be nice! Get on YouTube and look up CrounusMAX. You’re welcome. Sounds like an April Fools joke… We’ll know next Friday…. No update COULD EVEN MAKE THE standard PS4 support 4K lol. This is awesome, both Xbox and Playstation has always had a hardware upgrade half way through the life span, whether it be the Slim or Elite models, now they are updating the video power of the device with the upgrade! I think this is smart, a lot of people didn’t like the original 360 and got the Elite model as it ran so much faster and had fewer issues. If people think these companies putting out updated versions of their consoles is a bad idea then maybe you should look at the success of them doing it in the past and the increase in sales per generation. Don’t own a 4k TV or even care to upgrade? Then don’t! Just keep playing the same games as the people are that updated and go on with your life.